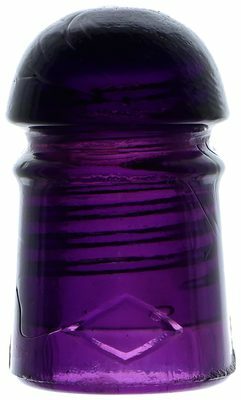 CD 102 DIAMOND // DIAMOND, Dark Purple; The classic "purple pony" in fantastic shape! Lot 24: CD 102 DIAMOND // DIAMOND Color: Dark Purple Description: Excellent condition! Purple is always one of the popular colors, and these little ponies are quite affordable. Contrast this with the embossing in lot 26. A nice, rich color that is still able to pass light easily.